There was a time when everyone said the kitchen was the heart of the home. Wouldn’t it be nice if families still ate at traditional times and everyone gathered around the table to share the day’s events? That may still be the practice in some homes, but they are few and far between. If they do happen to sit at the table together, it’s usually with a cell phone or tablet as they Tweet and eat. Today, the two rooms in any home which deserve the highest focus are the living room and bedroom, because that’s where we spend the most time. As for the bedroom, no bedroom is complete without these 5 things. You’ll soon see why! While the jury is still out on the exact amount of sleep individuals need nightly, the one thing most agree on is the fact that it is virtually impossible to get a good night’s rest without a mattress providing the comfortable level of support your body needs. You can check out reviews on Sleep Sherpa to be assured you are getting the right mattress for your comfort level, and only then is it advisable to invest in a high quality mattress. With such a focus on sustainability these days, you’d think that this is the only reason for organic bedding. While it is a huge issue, there are other factors at play as well. The neat thing about organic bedding is that many people actually are allergic to the chemicals synthetics are made from. Also, fabrics like bamboo just feel better against the skin. Silk and bamboo ‘feel’ better, but cotton is nice too, especially in a cotton/bamboo blend. 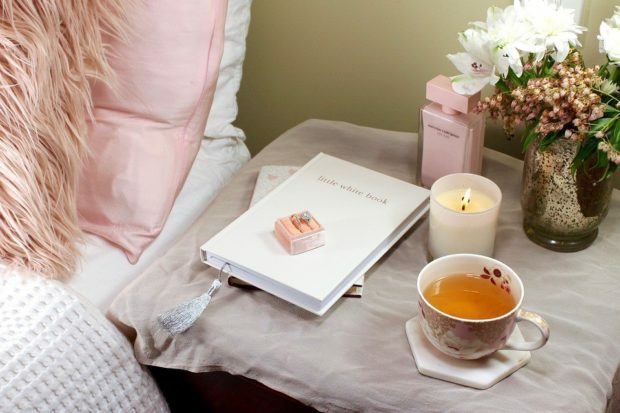 The one thing you don’t want to do is keep your nightstands cluttered. Nothing detracts more from the charm of a cozy bedroom than clutter. However, it is convenient to have a place to keep a glass of water or to safely lay your book and glasses when it’s time to turn in for the night. Speaking of lamps, don’t forget to get one with a dimmable switch. Sometimes it helps to have just a bit of light in the room. How many times have you awoken to a sound or a visit to the bathroom only to trip over your slippers or knock something over trying to reach the lamp? By keeping it at its dimmest setting, it’s dark enough to sleep but with just enough light to reach for it if the need arises – and most nights it does! Many experts suggest nightlights, but dimmable lamps are even better! You can control the amount of light more easily and much quicker if needed. Finally, a comfortable recliner is a lovely addition to any bedroom. Scientific research has indicated that many people find it difficult to go to sleep at night if they sit in their beds for extended periods of time to do things like read, watch TV or listen to music. There’s something about programming the body to sleep when your head hits the pillow and a comfy recliner gives you somewhere to sit that is not the bed meant for sleeping. So then, decorate all you want with curtains, candles, knick knacks and whatever, but always pay careful attention to these 5 things no bedroom is complete without.